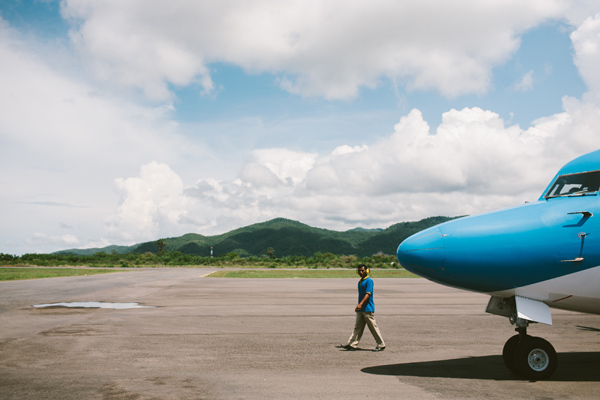 In Labuan Bajo, Flores Indonesia the planes are like buses; there is no identification necessary to get on, and the pilots in a laid back manner call into the waiting room it is time to board. We’ve arrived here too early, and check in took less than ten minutes. I start to gather the things that in the last two hours of I've spread out around my chair at the single gate. It is really the end of the journey east. 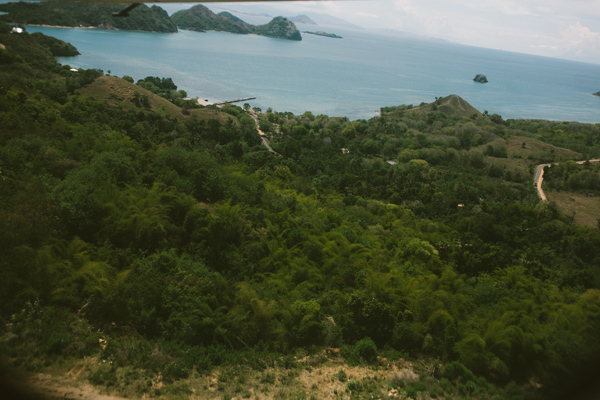 The mountains stretch out the window here, and the t-shirt clad airport authorities smoke out the back porch with the Indonesian passengers. Their cardboard boxes are tied tightly ready to carry-on. I look out the tiny window of the plane hoping the sky stays clear enough this afternoon to see the archipelago from above. In front of me argues a couple of tourists with a giant wood carved Komodo dragon between them. They are trying to figure out the best way to get it in the overhead bin. I laugh because it is so ridiculous. But what is more ridiculous is that I am headed back to Bali, and that its almost time to go home.